This is the handset of the phone. Click on the handset or press F3 to lift the receiver. 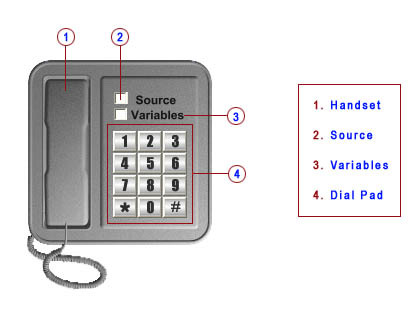 Click once again on the handset or press F4 to terminate the call or to hang-up the receiver. It is possible to refresh the application with a double click on the function key F9. Show / Hide the source code window. Show / Hide the variables window.